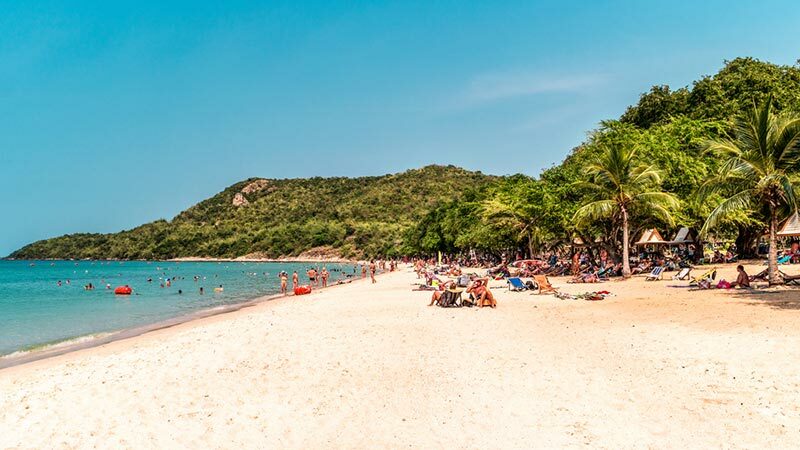 Interesting Sattahip attractions such as Koh Kham Marine Park A small diver’s paradise that sea lovers should not miss, Buddha statue, Khao Chi Chan cliff, Sea turtle conservation center, Visit the Chakri Naruebet boat Or visiting the community of Ban Chong Samae San, etc. “Ang Thong”, a small province located in the central lowlands Not far from Bangkok, many people prefer to pay homage to the Buddha. It is also full of historic temples and has many interesting and beautiful things. But today we picked it up as well. -Wat Muang is located at Hua Saphan Sub-district Wiset Chai Chan District This temple is a popular Buddhist temple. “Sakon Nawamin Buddha, Sri Wiset Chai Chan” has a lap of 62 meters, 93 meters high, is the largest Buddha statue in the world. – Tonson Temple is located on the west side of the Chao Phraya River opposite the Ang Thong Technical College. 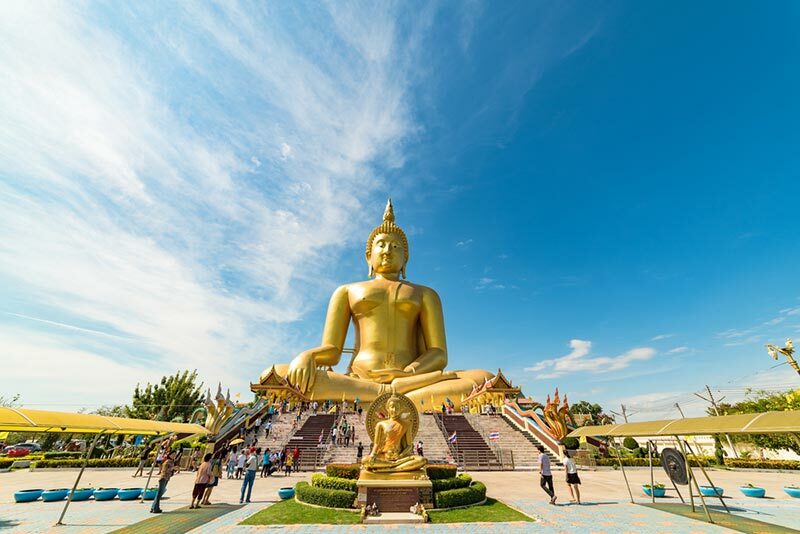 Is enshrined by the Buddha image, the name “Somdet Phra Buddha Nawakutrat, Sri Muang Thong” or the initials “King Sri Muang Thong”, a lap size of 6 meters, 3 cubits, 9 inches high, 9 meters, 1 elbow, 19 inches, cast with metal, all in love, gilded It is the first Buddha image, cast by the largest metal, and has a very beautiful Buddhist style. Meditation Temple With the practice of the teachings of the Lord Buddha By following the guidelines of the parents, teachers, Luang Pu Man, Phurithatto and Luang, looking for Bua Yan Sampuno when entering inside Will see the white pagoda There is a wall around Inside there are various statues around the walls and around the pagoda beautifully. Highlighted on the beautiful pavilion Decorated with painting Inside the pavilion paved with wood Each pillar of the pavilion has a beautiful golden Thai pattern.